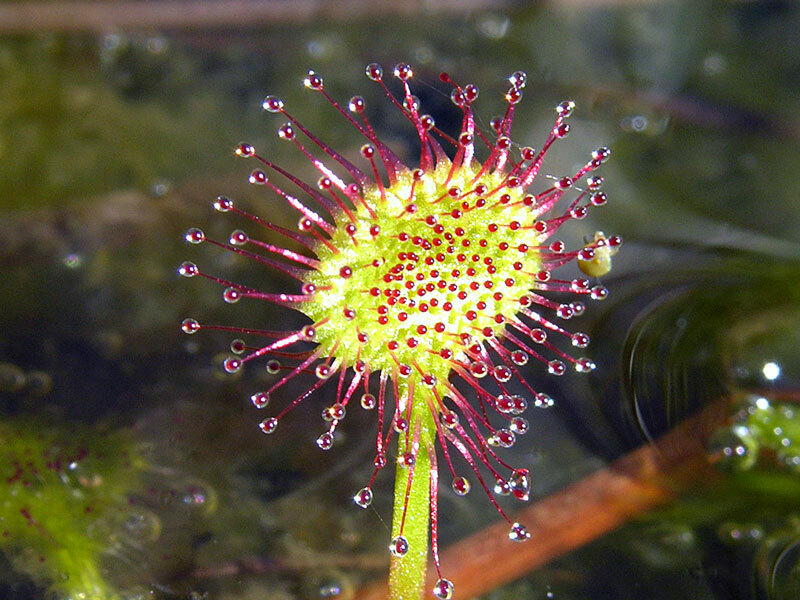 Drosera rotundifolia is a temperate sundew which grows throughout the Americas, Europe and Asia. 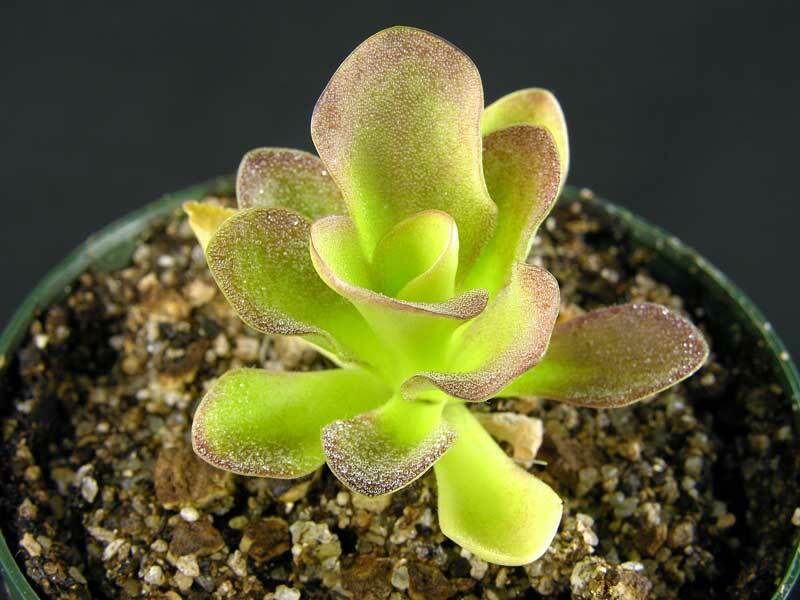 The plants we have for sale are seed grown, the plants originating in the northwestern US. A temperate species, these require a winter dormancy. 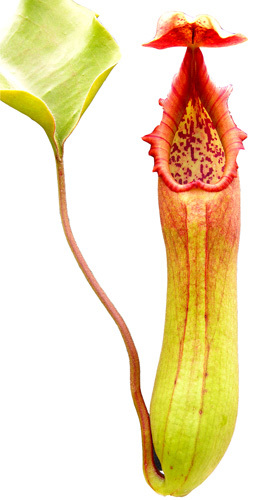 The image shows a closeup of a trap, on a plant of about 4 inches tall. 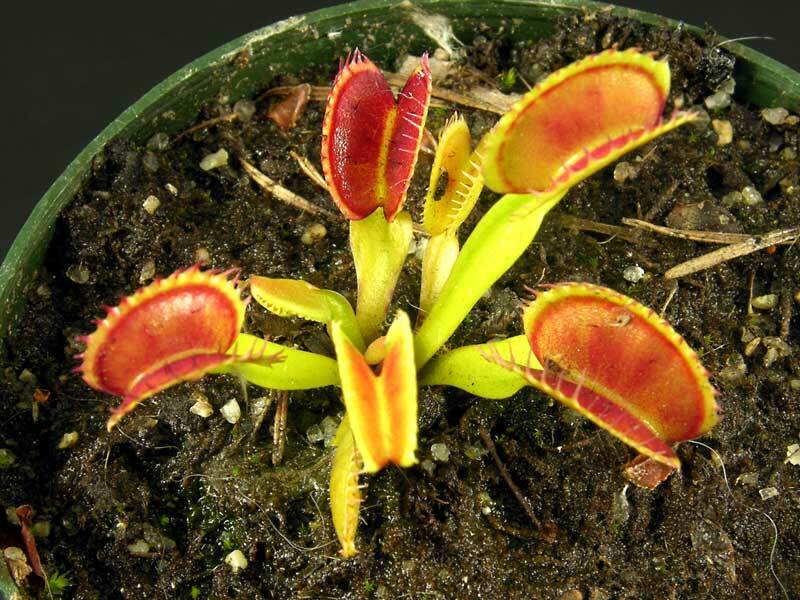 Full size plants normally grow to 4-6 inches. 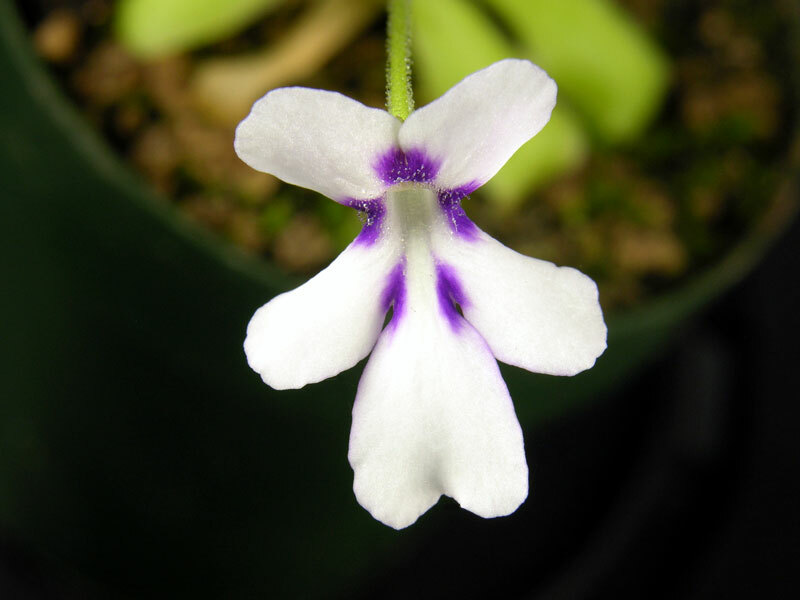 Dormancy Notice: Our D. rotundifolia are grown outdoors year-round here in Washington state. While we continue to sell these throughout the year, the plants we ship from October through March may be dormant or entering dormancy. These will not be actively growing at this time, having formed hibernacula, or winter buds. These are healthy plants, but are waiting until spring's longer days and warmer weather to grow new leaves. 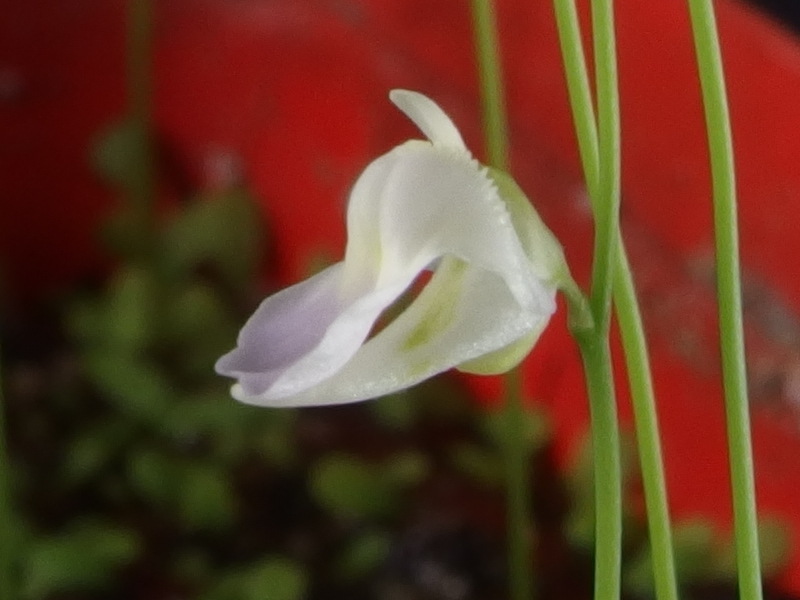 These grow well in pure peat. 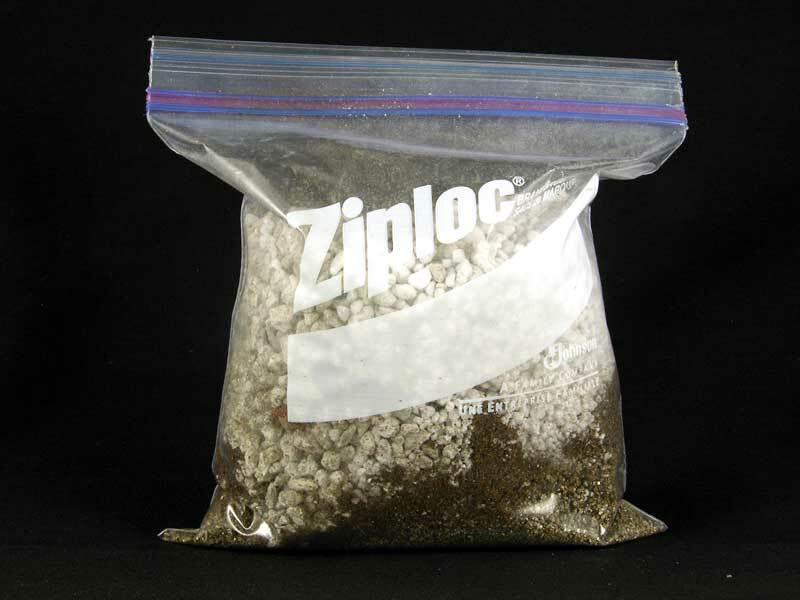 We also grow them in in a 60:40 mix of peat:perlite, or in a 50:50 mix of peat:sand.